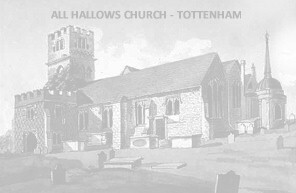 The parish church of All Hallows in Tottenham is an Anglican church and said to be one of the oldest buildings in the Borough of Haringey. 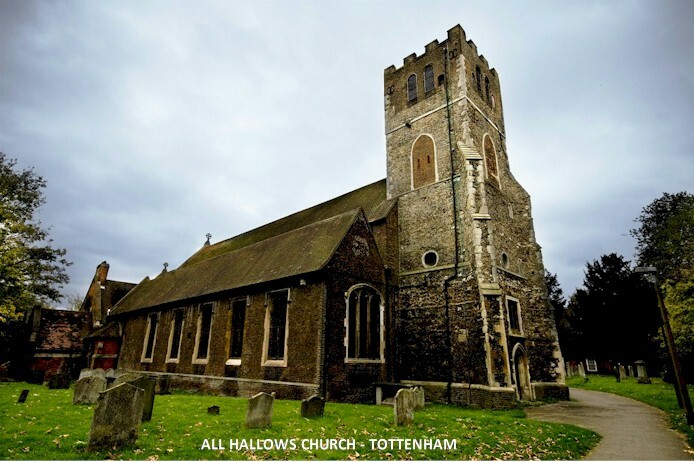 It was originally built as All Saints Church in the 12th century, but was re-dedicated as All Hallows in the 15th century. 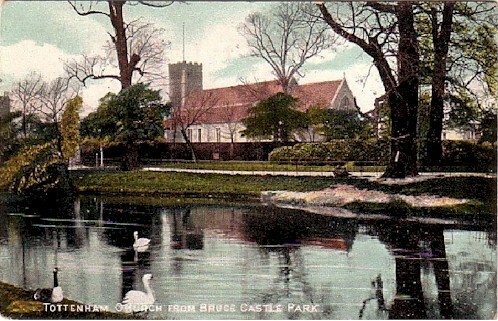 It is reputed to have been given to Tottenham by King David I of Scotland, strengthening its connection with the Bruce family who were owners of Bruce Castle. 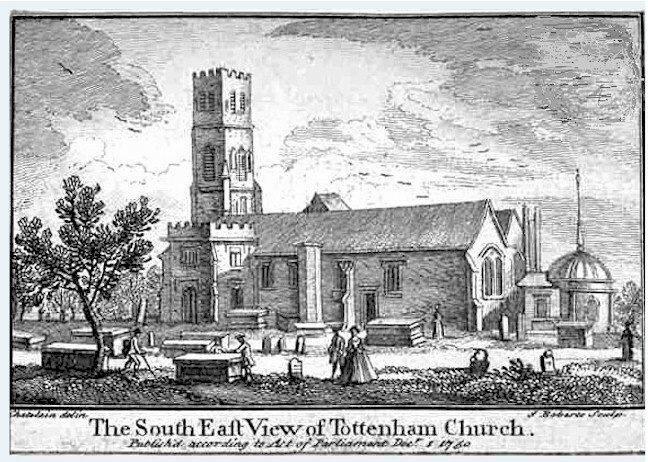 It has been the original parish Church for Tottenham for over 700 years. 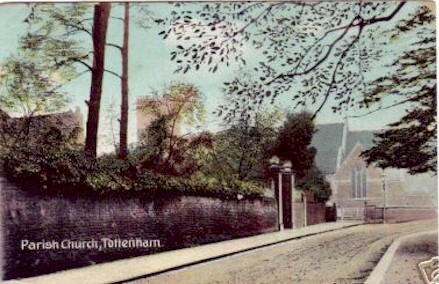 The church stands in Church Lane and is adjacent to Bruce Castle and Tottenham Cemetery beyond. 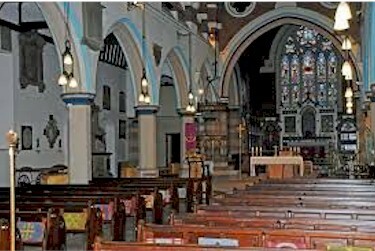 The church is part of the Diocese of London and its clergy have included the William Bedwell (from 1607) and John Howard Churchill, later Dean of Carlisle. 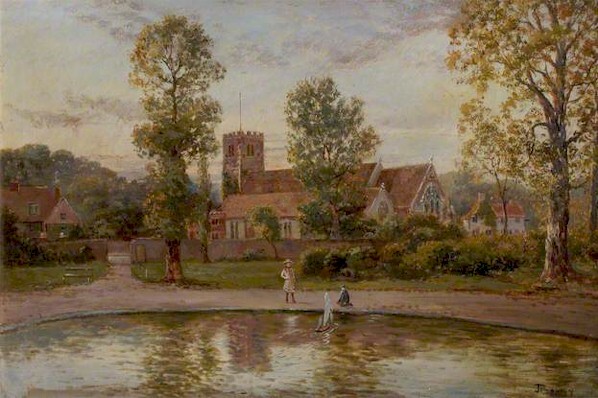 The Church has been painted by artists on many occasions, including by William Ellis, John Preston Neale, William Henry Prior, John Thomas Smith, Jean Baptiste Claude Chatelain and John Constable. 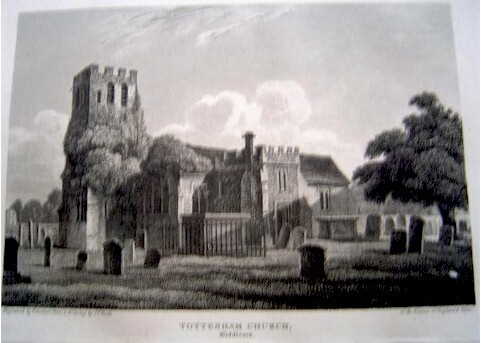 The painting of All Hallows Church  Tottenham by John Constable is held at the Metropolitan Museum of art in New York. 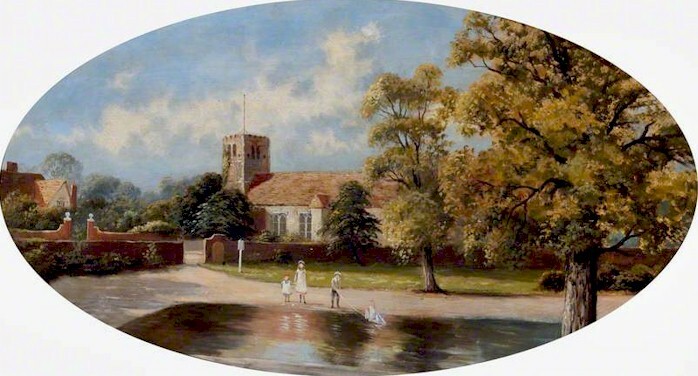 In the very early 19th century John Constable was a visitor to Markfield House, the home of William Hobson, where he painted a number of portraits of the Hobson family. During his visits to Tottenham it is also possible that he was briefly acquainted with Luke Howard who is widely recognised as being The Father of the Clouds. 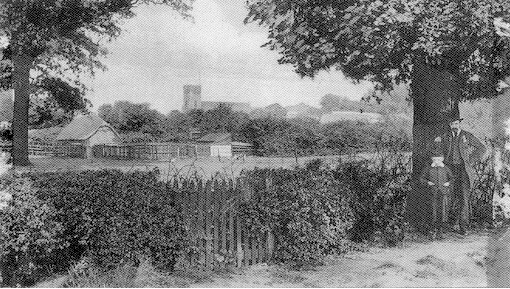 Both William Hobson and Luke Howard were members of the Quaker movement in Tottenham. John Constable was also fascinated by clouds and they feature in many of his paintings. There is also a fine painting by the artist John Bonny that is on display at Bruce Castle Museum. 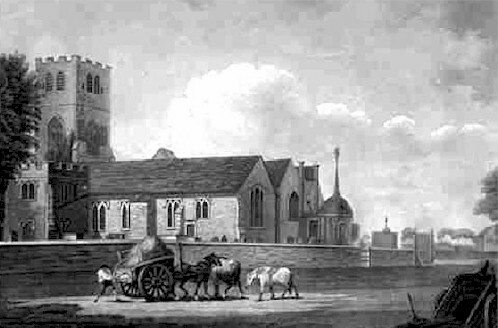 The church has a long and unique history including a resident ghost and a captured bell brought to Tottenham by two soldiers following the Battle of Quebec. Local folklore also refers to the body of Lady Constantia Hare who, according to historians, jumped to her death from the top of Bruce Castle in a jealous rage, which then went missing.. 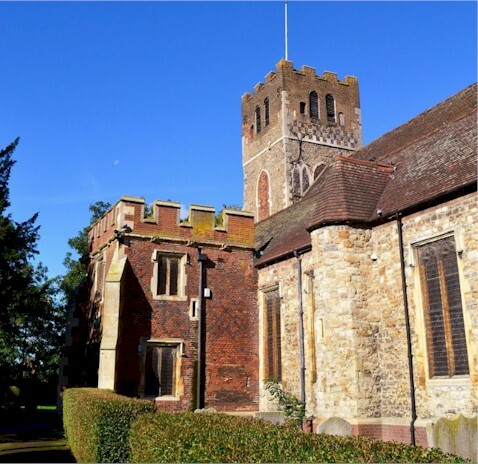 Her husband, Lord Hare, had her buried in the All Hallows graveyard, but there is no record of her death or burial even though the parish records are impeccable. In the past, there were a number of sightings of Lady Constantia's ghost recorded. 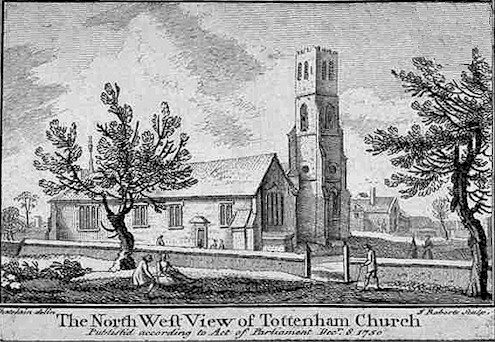 William Bedwell, who was the Rector of All Hallows from 1607, was a well-known and respected historian for Tottenham and he had written : The Church, being for a country village as Tottenham is, a reasonable large and fayre one, with a pleasant tunable ring of five bells , standeth upon an hill, inuironed on the west, north and east , with the riueret Mose ( he refers to the close proximity of the River Moselle). 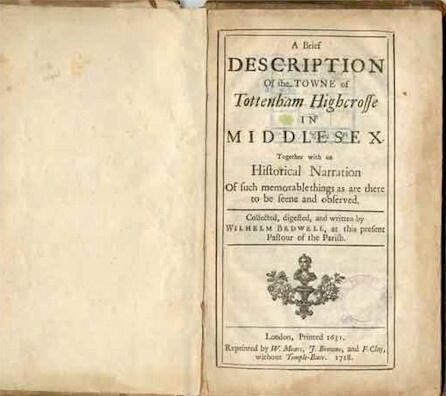 As one of the translators of the King James Bible, William Bedwell was vicar at All hallows between 1607 and 1632. 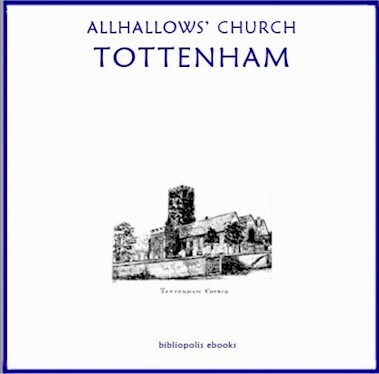 Another famous but more recent Tottenham Historian, Fred Fisk (1861-1935), has written a most detailed synopsis of the various stages of the Churchs history which can be found in his wonderful book The History of Tottenham which was first published c1913. The building, after many alterations, comprises a chancel with north-east vestries and north and south transepts, an aisled nave of 6 bays, a south porch, and a 4-stage west tower. A contrast of textures and colours is provided by the materials: flint rubble, ragstone, varied brickwork, and dressings of stone. 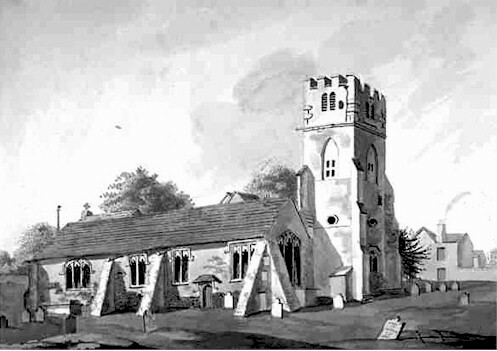 By the end of the 14th century the surviving tower and arcades suggest a building with an aisled nave of 4 bays and a chancel with north and south chapels. 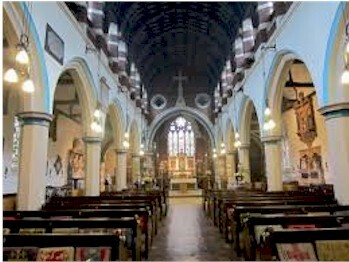 During the 15th century both aisles were rebuilt, probably to a greater width, and that on the south side was continued beyond the rood screen into the rebuilt chapel. The two-storey south porch, of red brick with dark diapering and stone dressings, was added c. 1500. A north-east vestry over a burial vault for the Hare family was erected in 1696; a circular structure with a leaded dome surmounted by an obelisk, it was demolished in 1875 on the reorganization of Lord Coleraine's charity. The fourth stage of the tower, in brick and battlemented, was added during the 18th century. 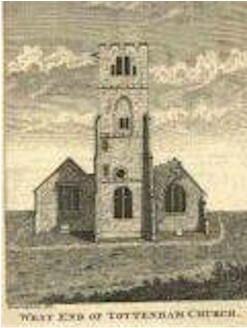 At a restoration in 1816 the church was probably again extended eastward, by one bay, and the north aisle was rebuilt in yellowish-brown brick. A further restoration in 1875 included the addition of a chancel, transepts, and vestries to the east; the work, by William Butterfield, was carried out in a Geometrical style but in materials similar to those of the porch. The many changes and slight 20th-century war damage have left few of the architectural details unaffected, although much original stonework has been reset. 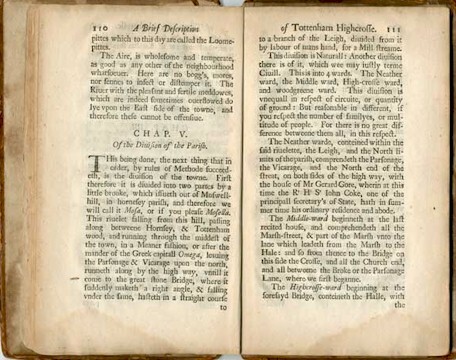 A western gallery for children was altered to accommodate more parishioners in 1741, when a new children's gallery was built over the south-west door .A north gallery, for the use of nine subscribers and their households. Situated alongside the Church is the Priory. 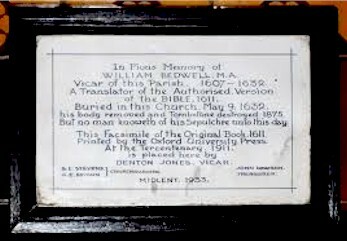 It was built in 1620 for Joseph Fenton. 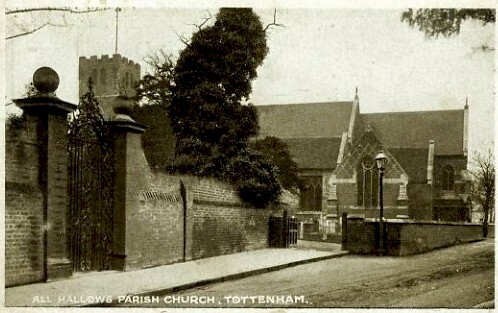 It was saved from demolition in 1906 when the Rev Denton Jones restored the property having moved back there from the former vicarage that stood in Tottenham High Road.